Delicate Crochet uses a lightweight yarn (#3 or below) to create almost a lace effect in the twenty-three projects described. 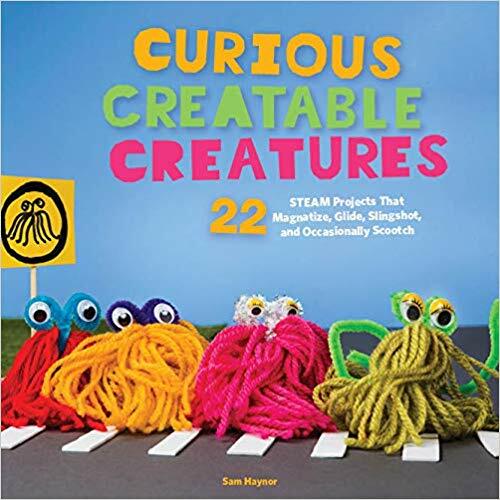 The projects include four cardigans, two pullover sweaters, one vest, one poncho, one summer top, one skirt, one necklace and a pair of fingerless gloves. There are also four wraps, three shawls, one cowl, and three scarves. All have extensive pictures and schematics of both the size and the stitches used to make the garment. Sizes extend from extra-small to extra-large depending on the pattern. The techniques vary from regular crochet to broomstick lace to Tunisian crochet. 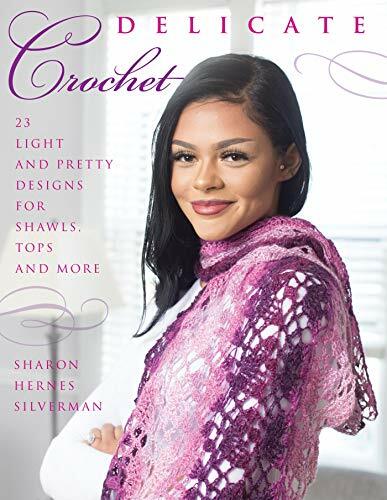 If you like to crochet, Delicate Crochet is perfect. It has new ideas for how to modernize the crochet look to be more polished. It has excellent instructions and illustrations. 4 stars! Thanks to Stackpole Books and NetGalley for an advance copy in exchange for an honest review. Everything a beginning weaver needs to start Weaving on a Little Loom. This book has clear and concise instructions—most with pictures or diagrams. It begins with the tools needed. Next, the author describes the different weaving and edging techniques. Finally, there are five project plans: a wall hanging, a clutch bag, a placemat, a pillow and a larger tote or laptop bag. What is nicer are the explanations of how to plan your own projects from the conceptual drawings to yarn selection to spec sheet creation. The spec sheet includes all the detail about the project allowing it to be replicated later. I love the easy “friend talking about their favorite hobby” feel of the text. The author, by clearly laying out the requirements, makes weaving sound less intimidating than in other instructional books. I especially like the low cash outlay necessary to see if weaving is for you. A reader could do their first small project using only inexpensive yarn, a cardboard loom, a finger skein shuttle, a standard dinner fork, a ruler and scissors. 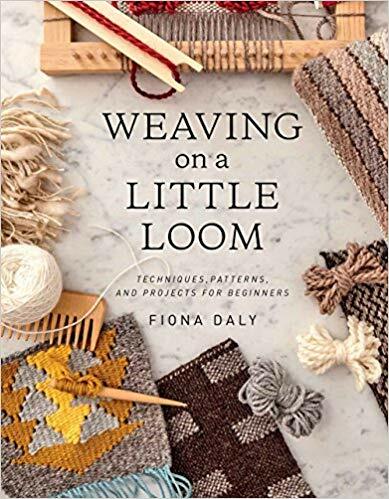 Overall, if you are interested in trying weaving, Weaving on a Little Loom is a great book to jumpstart your success. 4 stars! Thanks to Princeton Architectural Press and NetGalley for an advance copy. 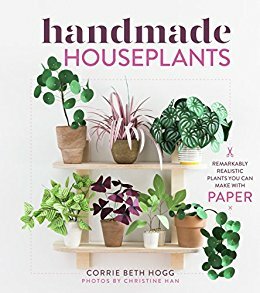 Handmade Houseplants shows a beautiful use of paper and your creativity to liven up your home or office. 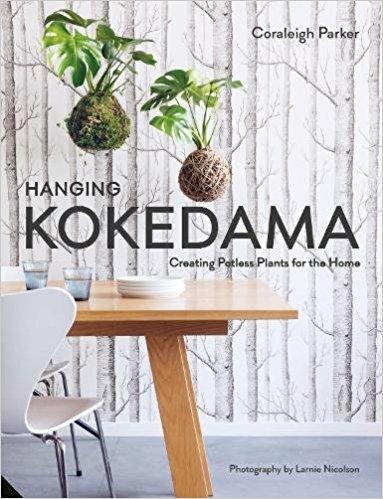 Using various painting, cutting and gluing skills, the author gives step-by-step instructions for 30 different plants. From carnivorous to poisonous to cactus, most plants you have heard of and a few you haven’t are included. After the reader has done a few of the step-by-step plants, the author includes five more advanced projects like place settings, centerpieces, table/mantle runners and a trellis that is adorable. The finished projects vary in size from 4” to 4 feet wide or tall. The initial supplies needed can be acquired cheaply assuming you already have a glue gun, scissors, iron, wire clippers and needle nose pliers. The book includes a resources page with inexpensive art websites like dickblick.com. These projects are gorgeous and look totally Instagram or blog ready. If you are tired of making origami frogs, this a great next step in your paper odyssey. 4 stars! Thanks to the publisher, Timber Press, and NetGalley for an advanced copy. 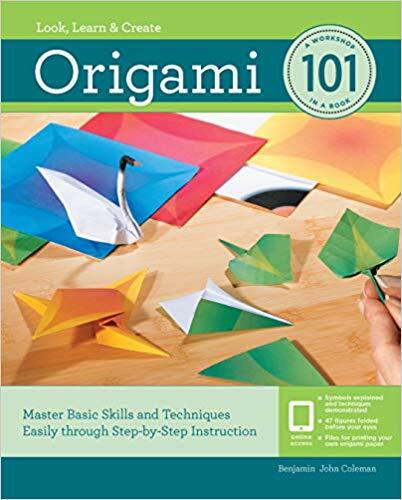 Using just four simple shapes, Origami 101 teaches makers to create 43 different figures from a simple penguin to a human being. I love the simplicity of Origami 101. Everything is clearly explained. The use of a glow to indicate which part of the paper is moving when folding is brilliant. 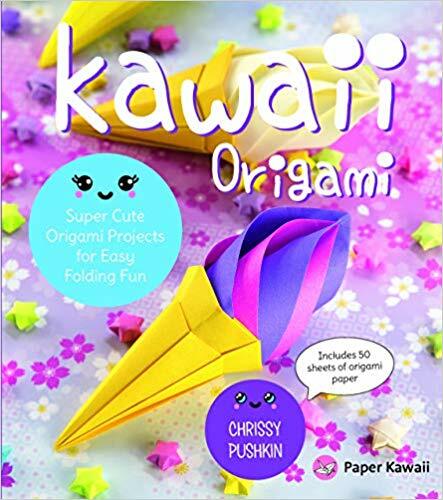 The step-by-step instructions and the slow increasing of the reader’s skills when following the order of projects within the book ensure everyone’s origami success. 4 stars! Thanks to the publisher, Quarry, and NetGalley for a copy.